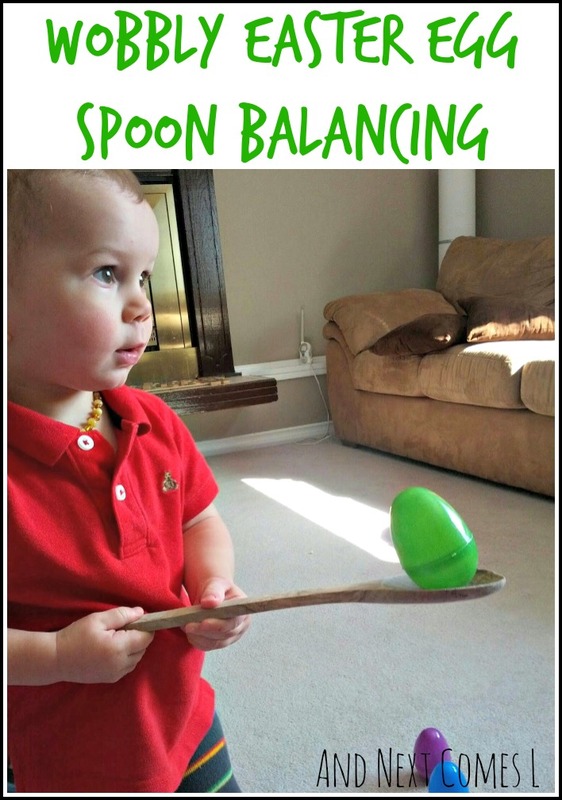 You may be familiar with the walking while balancing an egg on a spoon activity. Well, we put a twist on it by using our Wobbly Easter eggs. Turns out it's the perfect Easter themed boredom buster for toddlers and preschoolers. It requires quite a bit of focus and concentration so it can be quite challenging! 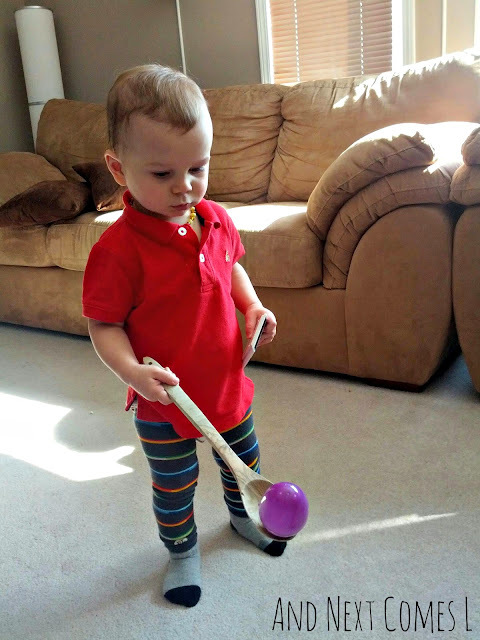 Encourage your child to walk while holding the egg on the spoon. 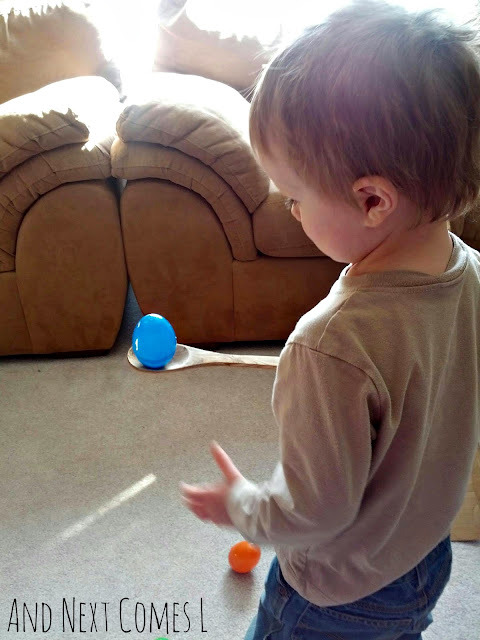 For older kids, you could even try getting them to transfer an egg back and forth between two spoons. Or try smaller spoons. 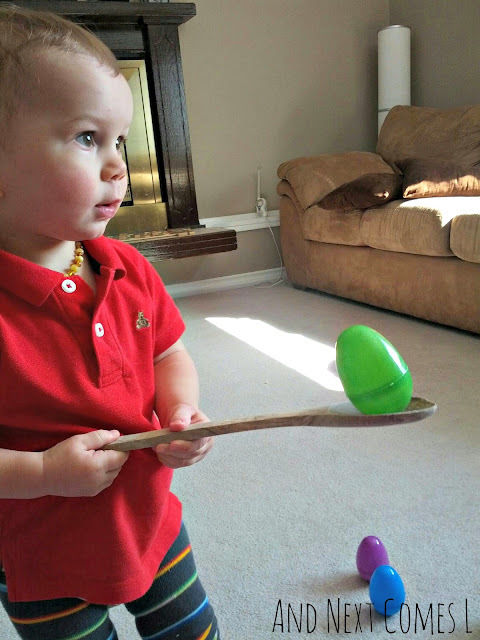 However, we used large wooden spoons for this activity because they fit the size of the eggs better than regular tablespoons would have. K was so mesmerized by this activity! When it comes to toddlers, simple is always the way to go. Hahaha...hockey would be awesome with these!